Belfast City Bmx Club 🚲: Lucan Bmx Club Winter Series Round 3. 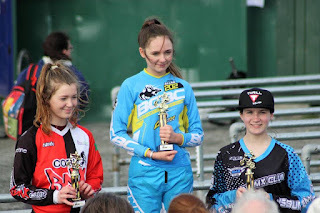 The last and final round of Lucan Bmx Club's winter series was Sunday 19th March with again some great racing (and Crashing..!!).. Many thanks to Lucan Bmx Club for holding a fantastic event..